With more than 20 years of legal experience, David R. Hughes practices in the area of general civil litigation, focusing on employment, business, real estate, and catastrophic personal injury cases. 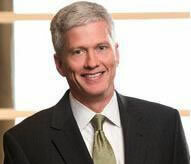 He has litigated and tried cases throughout Georgia and the Eastern United States. Mr. Hughes has long been recognized for his effective trial skills. He holds an AV® Preeminent™ Peer Review rating from Martindale Hubbell, the highest rating given, and he is the recipient of the American College of Trial Lawyers’ Medal for Excellence in Advocacy. He is a certified Mentor to new attorneys for the Georgia Bar Association, and he has taught trial advocacy courses at Emory Law School. Mr. Hughes received his undergraduate degree (B.A.) and law degree (J.D.) from Emory University, and a master’s degree (M.Div.) from Harvard University. In law school, he was a National Champion and Regional Champion for the National Moot Court Competition. Mr. Hughes also was named to the Order of the Barristers, a national honorary society for trial advocacy. In addition to maintaining his law practice, Mr. Hughes is active in civic and community affairs. He has served on the boards of numerous nonprofit organizations and graduated from Leadership DeKalb (Class of 1998). He is a member of the DeKalb Bar Association, having served on the board of directors, executive committee, and as chair of the litigation section of that organization. He also is a member of the Atlanta Bar Association, and the Lawyers Club of Atlanta. During his career, Mr. Hughes has served as legal aide to the Georgia Senate Special Judiciary Committee and as an aide to a Chief Deputy Majority Whip in the United States House of Representatives. Successfully tried or settled dozens of cases involving railroad injuries, resulting in awards for his clients totaling millions of dollars. Successfully defended corporate director in federal trial on complex securities fraud claims involving multi-millions of dollars, resulting in a dismissal of all claims against his client. Represented employees in confidential settlement agreements with two large Southeast institutions for claims of invasion of privacy for unauthorized use of their electronically stored records. Counsel for national company in business and commercial litigation ranging from claims in the tens of thousands of dollars to hundreds of thousands of dollars litigated in state and federal courts throughout the Eastern United States. Successfully defended Southeastern regional business in multi-state claims of Fair Labor Standard Act violations. Successfully settled or tried many wrongful death and medical malpractice cases resulting in awards totaling millions of dollars for his clients. Book Review of The Articulate Advocate: New Techniques of Persuasion for Trial Lawyers, in Georgia Bar Journal, Vol. 15, No. 1, p. 82, August 2009. How Not to Shoot Your Eye Out: Pretrial Pleading Basics, presented to GTLA 2008 Holiday Workshop, Atlanta, Georgia, 2008. Georgia Security and Immigration Compliance Act, presented to Georgia Local Government Personnel Association Conference, Lake Lanier, Georgia, 2007. Investigating Alleged Employee Misconduct, presented to Georgia Local Government Personnel Association Conference, St. Simons Island, Georgia, 2007. U.S. Department of Transportation Drug and Alcohol Regulations, presented to Georgia Local Government Personnel Association Conference, St. Simons Island, Georgia, 2007.